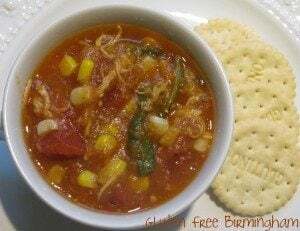 My friend Jenny (Gluten Free Birmingham) sent me this great recipe this morning! I have to admit that beside baked goods, pumpkin doesn’t make many appearances in my kitchen. 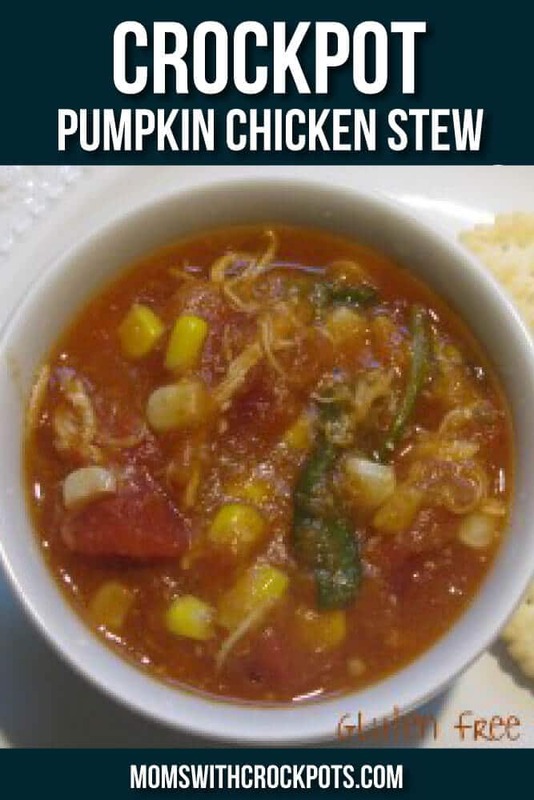 This is a great way to mix things up and sounds delicious for fall. I will be adding to my menu plan for next week! Dump all ingredients except spinach into crockpot and cook on high 6-8 hours. The last 30 min. dump spinach in and stir into stew. I put whole chicken breasts into the crockpot. After it has cooked for 6 hours the chicken just shreds easily with a fork when you stir. If you would like, you can cut your raw chicken into bite sized pieces and put in the the crockpot like that.